In the village of Gavaldon, Agatha and Sophie have grown up as best friends, albeit for different reasons. The awkward and morbid Agatha puts up with the attentions of the beautiful but vain and superficial Sophie, who hopes that it will raise her chances to get selected to attend the School for Good, one of two legendary academies that prepare children to become fairy tale characters, the other being the School for Evil. Though it is shown that eventually, they considered each other as their dearest friend indeed. Every four years, two children are taken from the village to be enrolled in either school, despite the parents' best attempts to prevent it from happening. No children have ever returned, but will occasionally show up in storybooks that mysteriously appear each year. The School for Good and Evil is a New York Times Bestselling children's fantasy book trilogy by Soman Chainani.The first book,The School for Good and Evil, was first published on May 14, 2013 throughHarperCollins. The series is set in a world where every four years two children are chosen to attend a prestigious school where fairy tale heroes and villains are made. 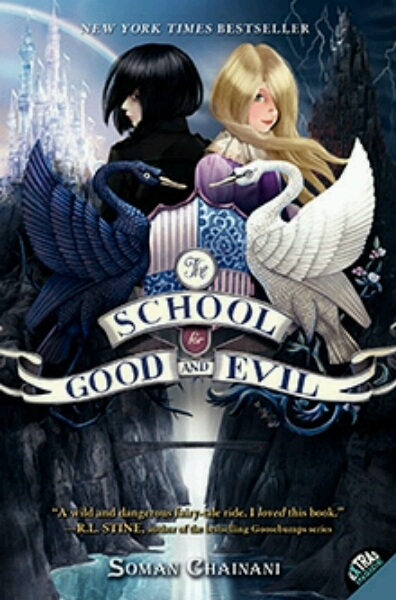 Film rights to The School for Good and Evilhave been purchased by Universal Pictureswith the intention to turn the series into a film trilogy.